The Environmental Protection Agency reportedly will have shed more than 400 employees by the end of September as a result of the department’s buyout and early retirement effort. But that number is still far below the goals set by Administrator Scott Pruitt in July. EPA said at the time it would accept a maximum of 1,228 applications through the Voluntary Separation Incentive Payment and Voluntary Early Retirement Authority programs. The agency in May set aside $12 million to pay for the incentives, which max out at $25,000 depending on an employee’s tenure and salary. According to The Washington Post, 362 employees at the agency have accepted a buyout. In addition, 12 employees retired at the end of August, 33 employees are slated to retire at the end of September, while 45 more are still considering retirement offers. 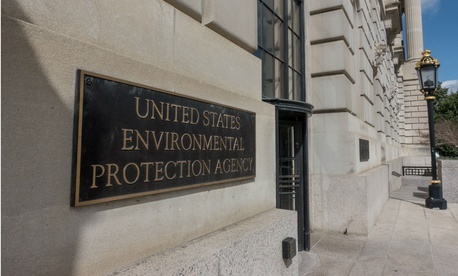 If all those employees leave the agency, the EPA’s workforce would drop to 14,428, The Washington Post reported, which would mark the smallest workforce the agency has seen since the Reagan administration. EPA officials did not respond to repeated requests for confirmation of the buyout numbers. John O’Grady, president of the American Federation of Government Employees National Council of EPA Locals #238, said he fears continued reductions in the EPA workforce like the 25 percent drop proposed in President Trump’s fiscal 2018 budget will make it harder for the agency to respond to a variety of disasters and crises. O’Grady said even some of the agency’s work that the EPA leadership touts as its future could get short shrift under reduced staffing levels. Opponents of the workforce cuts will be keeping a close eye on EPA’s responses to Harvey and Irma to see if they suffer from the latest buyouts. O’Grady noted that hurricane relief packages such as the one Congress approved this week typically only include additional appropriations for departments like the Federal Emergency Management Agency and the Small Business Administration. Congress now has until Dec. 8 to finalize the federal government’s fiscal 2018 budget, following the House passage Friday of a continuing resolution to avert a government shutdown at the end of September. AFGE is planning a march from the National Press Club to EPA headquarters next week to protest the White House’s proposal to cut the agency’s budget by 31 percent.